VIDEO: Did The Shark Survive this? Find out Below…This Labor Day weekend fun in the sun..
A great white shark finds himself beached on the shore of Wellfleet beach Cape Cod,MA. 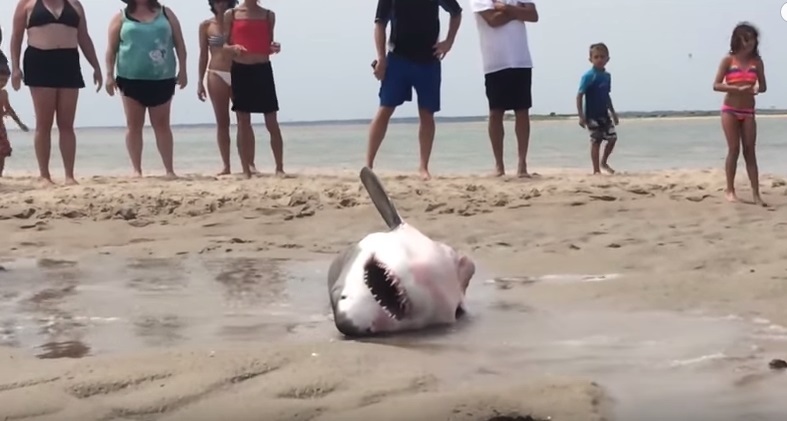 After hours of effort, 40+ beach samaritans drag this beast of a shark back into the ocean. It’s status is unknown…. Continue Reading Below to find out the answer..
Amazing Record – 8 Game Ties? What kind of Hockey gear do you typically need? 5 Reasons why Hockey is one of the Best Sports of all time!